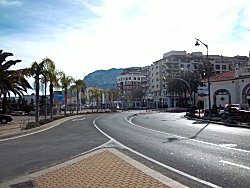 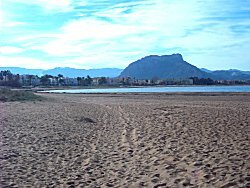 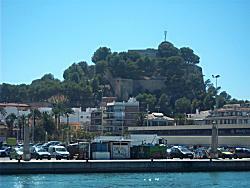 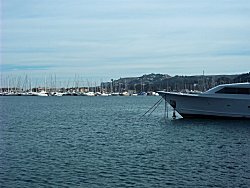 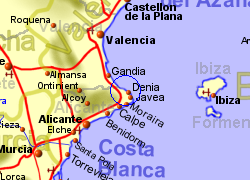 Denia is a prosperous city at the northern end of the Costa Blanca with a harbour servicing fishing boats and ferries to the Balearic Islands, the nearest being Ibiza, about 100 Km away. 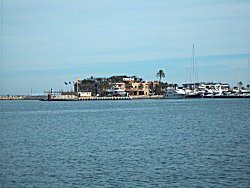 The old fishing quarter of the town has delightful whitewashed houses along cobbled streets and the town of course has plenty of bars and restaurants where you will find local seafood on the menu. 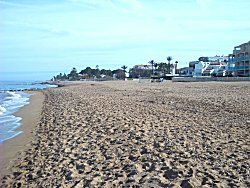 There are plenty of fine beaches around and water sports are also available. 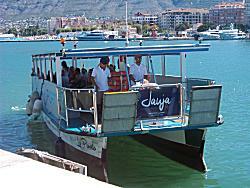 Excursion are available from the port and there is a free solar powered ferry taking pasengers across the port (to a number of bar/restaurants at the other side). 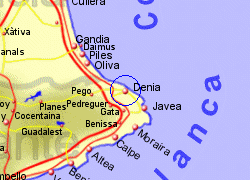 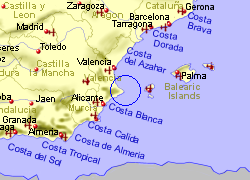 Map of the Denia area.